The book touches upon all the principal precepts of Tantra, espicially the esotric practices. An account of the Sakta Pithas has also been given in the background of the ethnological divisions of India. New light has been thrown on the origin of bija, mantra and Gayatri occurring in Tantric works. 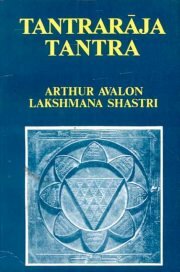 The study may be regarded as a new one, since scientific discussion of Tantrism has not yet progressed so far satisfactorily. This book is available in Sanskrit language only. Bibliographic Information: 837p. Notes, Ref.